Manufacturer of a wide range of products which include paint booth, spray paint booth and wet paint booth. 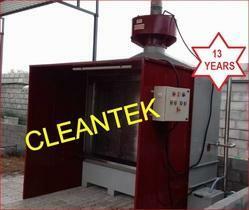 Cleantek design and manufacturing paint booths for all kind of paint fume extraction applications. Easy to maintenance & working filtration is high. 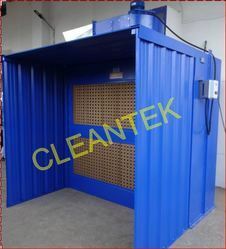 Cleantek design and manufacturing Spary paint booth extraction system for Hygenince Atmosphere for workers. We provide Spray paint booths to numerous industries for all kinds of painting needs. All of our paint booths comply with all BIS / OSHA Standards. Our in-house CLEANTEK sales and customer service team have many years of experience and vast product knowledge.We are ready to answer any questions you might have, as well as provide after-sales support all over India. Cleantek design and Manufacturing wet Paint Booth for Excess spary Paint Extraction Applications.